SHANGHAI/BEIJING (Reuters) - A move by the United States to ban American firms selling components to the Chinese telecom equipment maker ZTE Corp will also hit a target closer to home: Qualcomm Inc, a U.S. company that is a major supplier of chips for ZTE's phones. The U.S. Department of Commerce slapped a seven-year ban on sales to ZTE on Monday for breaking terms of an agreement reached last year after it was caught illegally shipping goods to Iran. Caught in the crossfire is Qualcomm, whose products account for the lion's share of chips inside ZTE smartphones. The Chinese company shipped an estimated 46.4 million phones last year, according to IHS Markit. "If you look at ZTE it sells around 45 million smartphones per year globally, and almost half of them have Qualcomm chips," said Neil Shah, research director at Counterpoint Research. "So if you look at an average of 25 dollars per chip set that's close to half a billion dollars in revenue." Canalys, a technology consultancy, estimate that a higher 65 percent of ZTE phones contain Qualcomm chips. Loss of business could be just the start for the U.S. company, which had sales of $22 billion last year. As Washington and Beijing square off with threats of tariffs and trade barriers, Qualcomm is a clear target for retaliation. Technology is the crux of the tensions. China wants to boost domestic champions like Huawei, which also makes chips. The United States, meanwhile, concerned about China's growing might, has shot down Chinese technology deals overseas, citing national security concerns. That puts Qualcomm, which makes the bulk of its sales in China, in an awkward position. "Domestically there are competing attitudes: for someone like Huawei, Qualcomm is the enemy," said Andrew Gilholm, director of analysis for China and North Asia at Control Risks. "But for many smaller Chinese phone makers they are actually very dependent on Qualcomm." 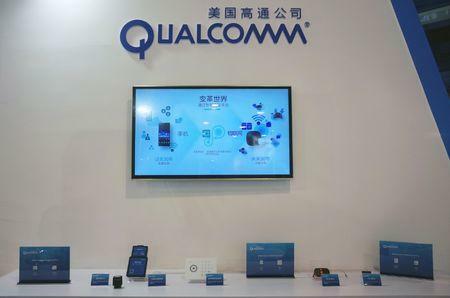 Qualcomm, which has government and defence contracts at home, is closely tied to the United States government; it is also grappling with regulator approval in China for a $44 billion takeover of NXP Semiconductors. It may, ironically, get hit by the ZTE issues more in the United States than in China. 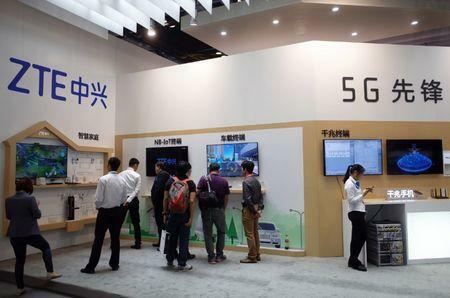 ZTE, while China's second-largest telecommunication equipment maker, has dropped out of the top ten in terms of domestic smartphone sales in recent years, according to Canalys, as rivals such as Huawei, OPPO, Vivo and Xiaomi have surged. But in the United States it is the fourth largest smartphone vendor after iPhone maker Apple Inc and Samsung Electronics and LG Electronics of South Korea. ZTE held 11.2 percent of the U.S. market last year, according to data from the consultancy Canalys. Its phones in the United States use chip sets and processors from Qualcomm, according to company specifications on its U.S. website, which showed all its "signature" phones using Qualcomm chip sets such as Snapdragon 820 and Snapdragon 617. "Most carriers want Qualcomm chip sets in the United States, so basically they are in deep trouble," said Shah, referring to ZTE. He estimated the United States at close to one fourth of the company's handset business. "They'd be losing one of their biggest markets." Qualcomm was not immediately available for comment. The ZTE issue could create a triple threat for Qualcomm: the loss of an important customer, rivals bolstered as they step in to fill the vacuum, and a potential hit as China looks to retaliate against the United States. China's commerce ministry said Tuesday that it will closely monitor the ZTE case and be prepared to take action to protect the interests of Chinese firms. The impact of the trade war is already being felt. Qualcomm withdrew, and plans to refile, an antitrust application for its pivotal NXP deal on Saturday at the request of China's commerce ministry, sources told Reuters. Qualcomm's shares dropped 1.7 percent on Monday. Smaller U.S. optical components firms such as the ZTE supplier Acacia Communications fell more steeply. Counterpoint's Shah said ZTE could now look to rivals like Samsung, Taiwan's MediaTek Inc or China's Spreadtrum for alternative chips. Huawei on Tuesday repeated a long-held policy of not selling its Kirin chips to outside parties. Shah added, however, that ZTE phones might need expensive redesigns and other chips wouldn't have the same level of performance: "Either way the costs will be high for ZTE."